When completed, one of the newest Veterans Administration facilities—a 150,000-square-foot, three-story technological wonder on the coast of California—will function as a state-of-the-art medical clinic. The Hamstra Group has been tapped to design and build the clinic, located in Monterey. The Monterey clinic will provide outpatient services, including primary care, mental health, specialty care services, pharmacy, radiology, PT/OT, phlebotomy, women’s health services and prosthetics. According to Veterans Administration project manager Max Evans, the facility will initially serve a more than 10,000 veterans patient population, as well as about 10,000 Department of Defense patients. Hamstra Group project manager Eric Carlson says site work is set to begin in February; completion of the Monterey clinic is scheduled for September, 2015. Carlson says the designbuild project will bring together a talented team of professionals, including Nichols, Melburg & Rossetto Architects/Engineers, based in Redding, Calif. In addition to the building itself, one essential component of the project will be full integration of DOD and VA operations, in addition to IT solutions for patient care. Carlson admits that the technology demands of today’s VA facilities are both challenging and rewarding. All of this will be accomplished on an ideal building site, a former military base in central California with a breathtaking view of the Pacific Ocean. 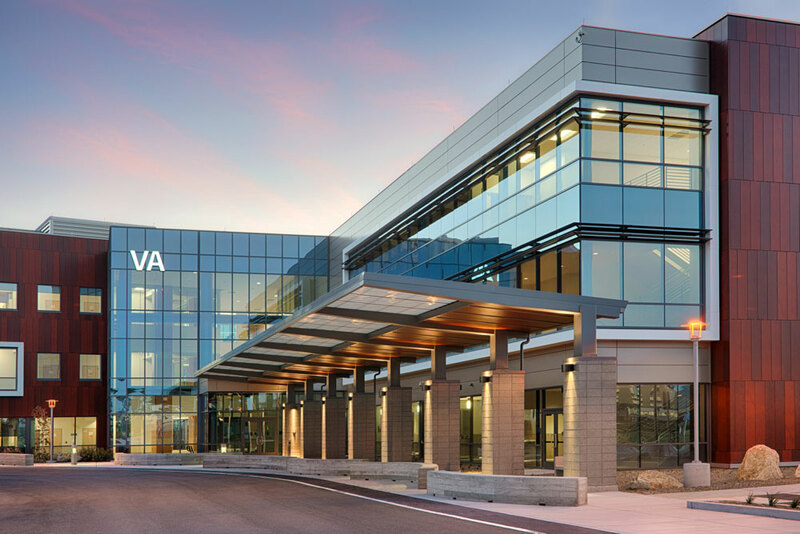 This Hamstra Group design-build project is the latest in series of medical facilities the company has constructed for the U.S. Veterans Administration. Other projects have included outpatient clinics and medical offices in Phoenix, Ariz., Las Vegas, Nev., Crown Point, Ind., Appleton, Wis., and Redding, Calif., among others. Site work will begin in February. The three-story, 150,000-square-foot facility is slated to open in 2015. The Monterey clinic will be built on a former military base on the central California coast.